Looking for a cocktail to impress your date? 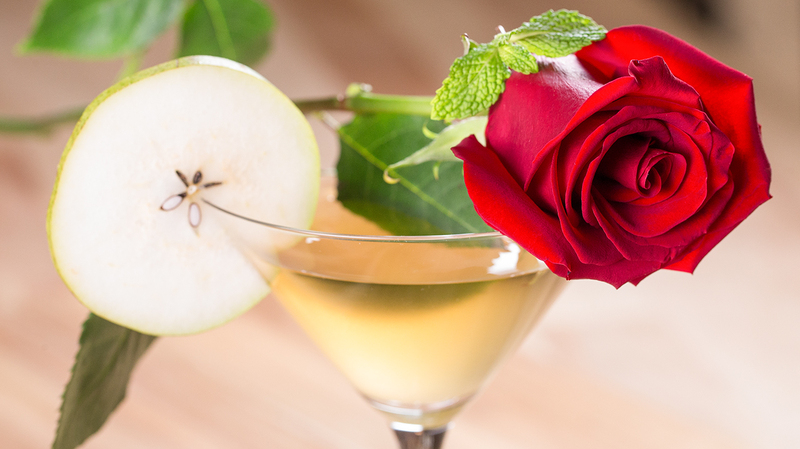 Try our Rose-Pear Martini, it is super romantic and tastes delicious! Shake vigorously until the martini is thoroughly chilled. Strain into a chilled martini glass and garnish with a pear slice or a mint sprig.